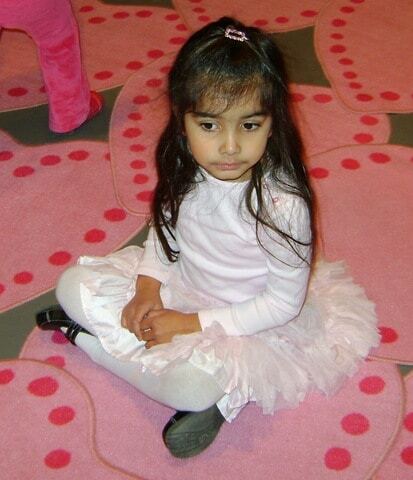 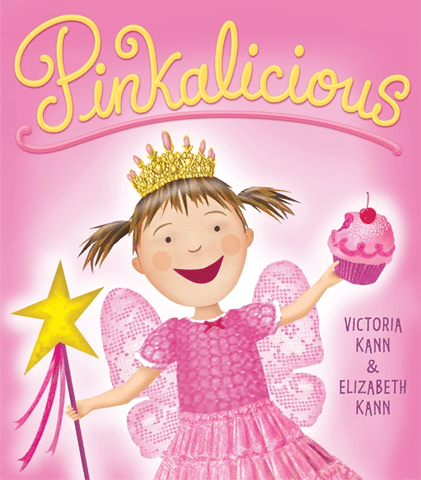 We were given tickets to the Pinkalicious play at Christmas,Â find tickets for their next Toronto show here.Â Pinkalicious is a children’s book about a little girl who eats too many cupcakes and pink food and turns pink! 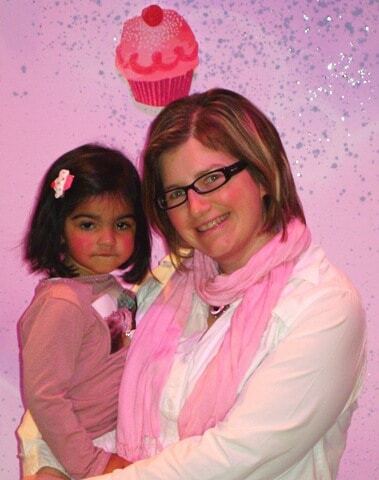 We all dressed up in our finest pink outfits, and posed in front of the set. 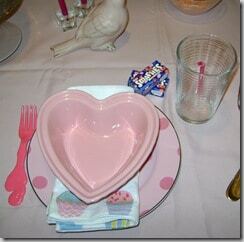 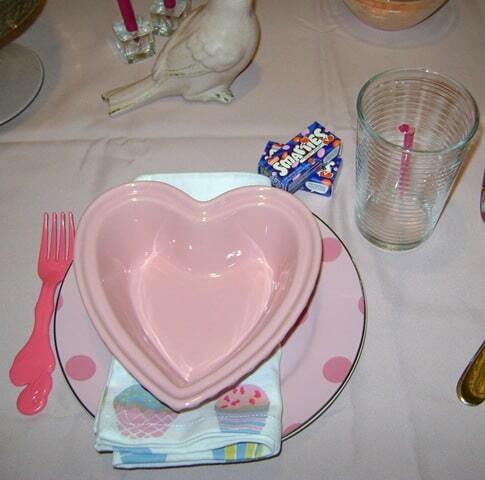 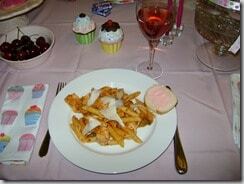 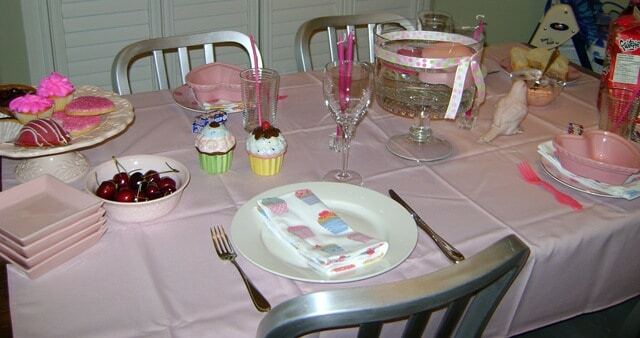 After the play, I decided to make us a pinkalicious dinner.Â I set the table with pink dishes, and cupcake napkins. 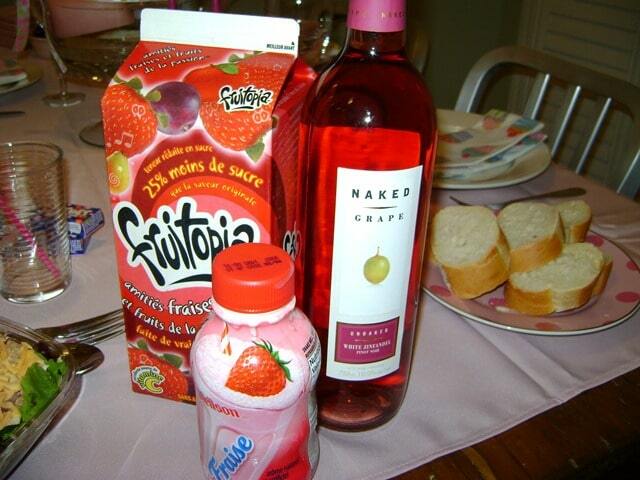 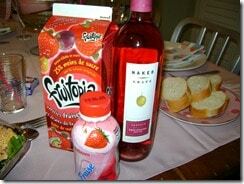 For dinner I made pink pasta, with chicken and mushrooms by adding cream to the tomato sauce.Â I also served bread with pink butter (made with a few drops of food colouring), and there were pink drinks for all (Strawberry Fruitopia, Strawberry Milk, and Rose wine for Mommy and Daddy). 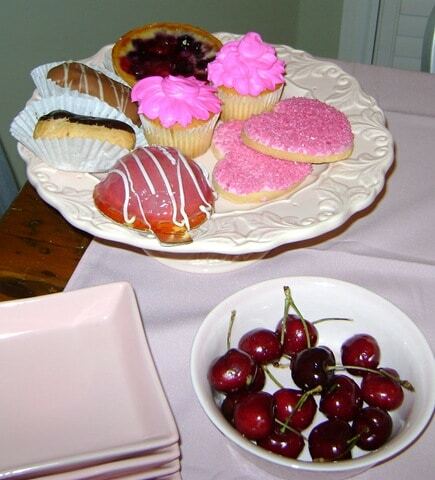 For dessert, I picked up a few pink treats at a local bakery, some fresh cherries, and some pink Smarties. 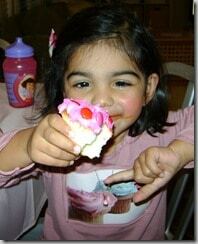 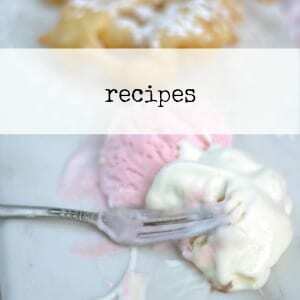 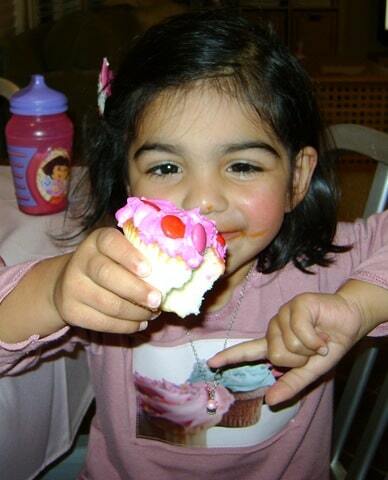 The pink cupcakes were the biggest hit! 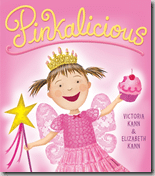 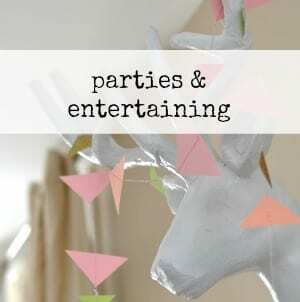 We had a great time at Pinkalicious, and I think this would be a great Birthday Party Idea for a little girl, or just a fun family outing!